Manchester-based developer Nikal and Liverpool’s Addy Consultancy have bought a one-acre site in the King’s Dock area of Liverpool to deliver a £100 million mixed-use, leisure led development. The brownfield site, in a prime position on King’s Dock Street, is to be the first of several Liverpool site acquisitions with Nikal declaring it’s intention to establish a prominent profile in the city. 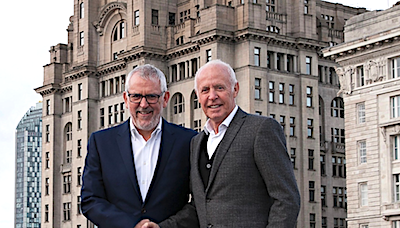 Nikal co-founder and Liverpudlian Alan Murphy said: “I’ve waited many years for the opportunity to deliver a development in my home city and now is the perfect time, both for us as a business but also in light of the regeneration underway at King’s Dock and along Liverpool’s waterfront as a whole. “I’m immensely proud of being born and raised in Liverpool; I love the city, it’s culture and its people. “I’m looking forward to helping contribute to its worldwide appeal with well designed mixed-use developments that will encourage tourism, generate jobs and create inspiring spaces for people to live and thrive. The site was introduced to Nikal by regeneration specialist Bill Addy, founder of The Addy Consultancy. Addy said: “I’ve known Alan and Nick (Payne, Nikal Co-Founder) for a long time and have a huge admiration for their approach to high quality, considered regeneration and placemaking. “I’m really pleased that we now have a site that will bring our two businesses together and marry our mutual passion and vision, it will be a fantastic addition to the King’s Dock offering.